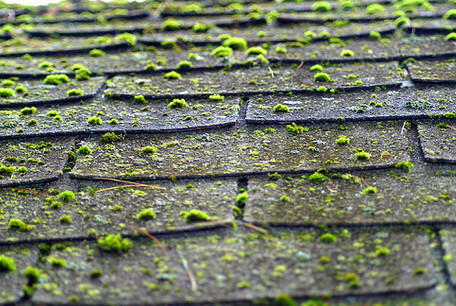 The mold that appears on your roof can damage your shingles and looks displeasing on the best of days. As a home or business owner, you shouldn’t leave the problem alone as extensive growth can seep into an attic or crawlspace. If you’re worried about the mold, we have a solution that is inexpensive and uses a few cheap items. It’s important to protect the plants and grass around your roof before you use the cleaner. Plants, soil, and grass don’t take well to bleach. The simplest way would be to wet your plants with water before you apply the solution and then rinse once again with clean water when you’ve completed the mold removal. If you’d like, you can use a tarp or plastic sheeting, which will also protect your soil. You can make your own basic cleaner at home with a few ingredients. The solution is made out of 1 quart of bleach, 1 gallon of water, and 60ml or 1/4th cup trisodium phosphate (TSP). Afterward, you can use a pump sprayer to disperse to disperse your solution onto the moldy shingles. If you utilize a pressure washer, you risk damaging your roof shingles. The high pressure can scrape the small pebbles off your shingles and that makes the shingles less repellant to water. When you finished spraying your roof with the solution, you should wait for approximately 15 minutes. 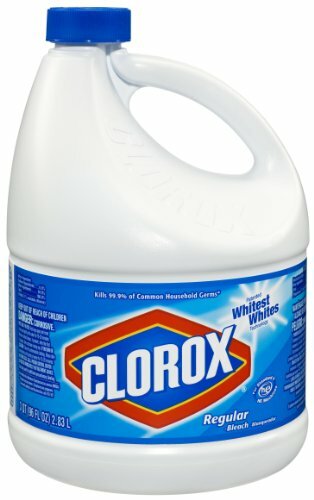 The bleach solution may need a couple more minutes if the mold is plentiful. After the appropriate time passes, you should rinse your roof with a low-pressure hose. The best way to spray the water is from the top shingle and rinse down. As a result, the water won’t seep into the roof. Pay extra attention during this step because bleach causes permanent damage and discoloration to your roof if you don’t rinse off well. You can run a gloved hand over the cleaned shingles to see if any mold remains. If you find your roof unclean, disperse the solution again and wait 10 minutes, then rinse off. You should consult a professional roofing company in cases where mold is a constant issue. If you face a continuous problem, you may own old shingles and should replace them, or they may need a waterproof coating. There’s also another alternative where a roofing company can put down mold-resistant shingles or install zinc or copper flashing, which kills microorganisms. March 20th marks the beginning of Spring and for many homeowners, the beginning of your Spring cleaning routine. Here are 5 must-dos to maintain your home, avoid costly repairs, and save you a few headaches this coming Summer. Exposure to heat can also damage your roof, but it’s extremely important to walk the perimeter of your home in the Spring to check for any structural damage caused by the elements of winter. Walk the outside of your home looking for any discoloration, loss of shingles, holes, or other damage and also, walk through the inside of your home checking for any cracks in the wall, slanted ceilings or floors, or signs of leaking. If your home’s roofing material is older, you may want to set aside a budget for gradual replacement and if you ever see a sign of damage, call a professional and have it fixed right away. Gutters are equally important to the integrity of your home. Walk the perimeter of your gutter system and look for any damage or ways you can optimize your current system. Next, you’ll want to use a sturdy ladder to look inside the gutters and clear any and all debris that has collected over the past season. All downspouts should point well away from the foundation of your home, so that melting snow and water do not penetrate the walls. Having a chimney is certainly a charming feature to have in your home, however, it needs routine maintenance and Spring is the best time to get it in tip-top shape. Examine the chimney from both the outside and inside for any damage that may has occurred in the past season and have a certified chimney sweep come clean the flue and professionally inspect the structure. Consider updating your current system with products that keep returning migratory birds and animals from nesting in any of your chimney’s cavities, or waterproofing products that protect your home’s structure from the rains of Spring. Especially if you live in an extremely hot climate, you will want to call a professional to inspect and service your air conditioner before it works very hard this coming summer. A heating and cooling contractor can clean the AC’s coils so that it operates more efficiently. You, as the homeowner, can take responsibility for changing the interior air filters on a regular basis for the remainder of the year. Ensure all your lawn care equipment is working properly and filled with fuel. Cleaning and sharpening lawn mower blades will make your job much easier this Summer.